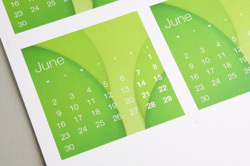 Calendars are a great marketing tool that help promote your brand to a large audience every day. Make a good impression, with professional, striking calendars perfect as gifts for employees or customers. Bestype Imaging calendar printing services cater to local businesses, residents, and organizations seeking a unique marketing opportunity to engage with an audience. If you have a print-ready file, we can put full-color technologies digital and offset printing processes to work for you, ensuring your calendars come out vibrant and sharp. Bestype Imaging is a calendar printing company in New York that provides rush calendar printing services . Our staff is will gladly help you along the printing process from design to production.